I'm breaking out the red plaid for the Thanksgiving holiday. 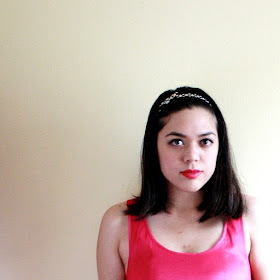 I actually wore this to a pre-Thanksgiving celebration at my cousin's house (so much Filipino food and pie yummm). 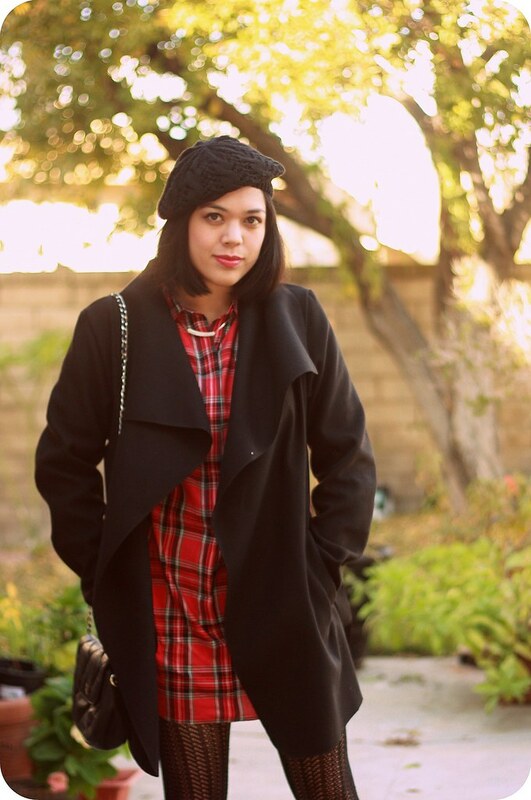 I styled a red plaid shirt dress and black waterfall coat (gorgeous, lightweight, and one size fits most!) 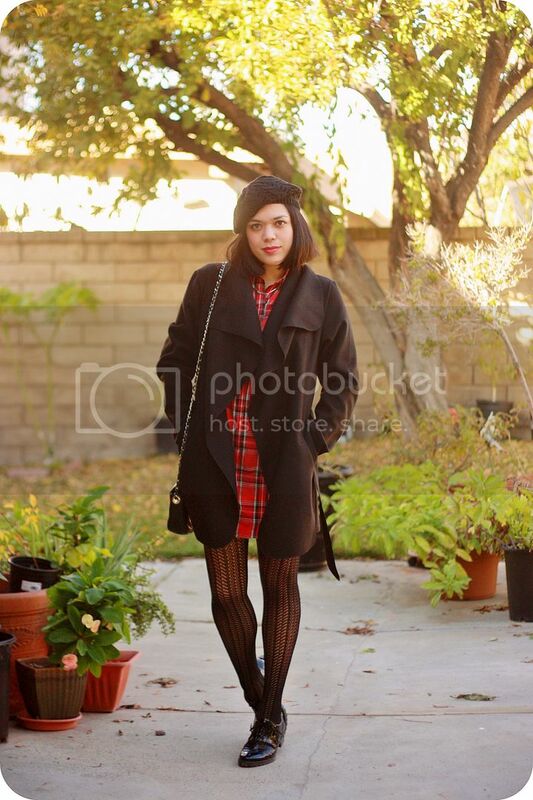 from Boohoo with crocheted tights, thrifted patent leather oxfords, a thrifted black quilted crossbody bag, and a black beret. 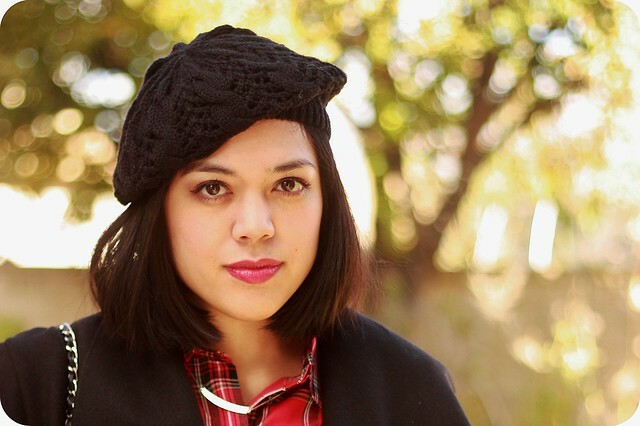 I wanted the red plaid to stand out, so I kept everything black for an easy and classic look.